For some reason, Macs running Lion that use LDAP to authenticate users to shared resources work just fine for the initial login. After that point, Lion users can use any password and still log in. Macs running older versions of OS X, Windows PCs, and Linux machines authenticate properly on the same LDAP servers, but the Lion machines exhibit the bad behavior. There are no security problems with Macs running Lion and logging into networks that use protocols other than LDAP. So there you have it. Not good news for Apple. Certainly not good news for network administrators. Nor those employees who keep pressure their companies to get them Macs. 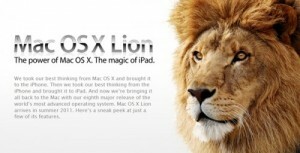 « Mac OS Lion: Signature for PDFs made easy.